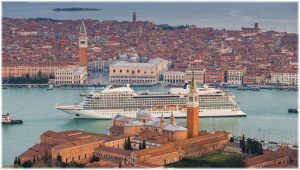 Ask us to point to the best thing about Viking Ocean Cruises and you might be met with a blank stare. Not because there isn’t anything to recommend the line, though — it’s quite the opposite actually. With Viking, every detail — from the decor and atmosphere to the food and itineraries —is special and it is the experience as a whole that makes these cruises truly remarkable. So we couldn’t possibly choose just one best thing. Ranked as the World’s Best Ocean Cruise Line by Travel + Leisure for two years in a row (2016 and 2017), Vikingoffers an incredible experience aboard its beautiful vessels. There’s no better time to discover what all the fuss is about. 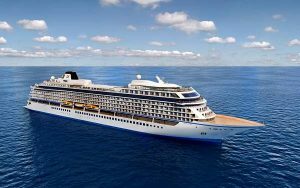 Among the top luxury cruise lines, Viking has the youngest fleet of ocean liners, including two brand-new ships. This means you’ll be sailing on the newest vessels with a company proving to be the very best in its class. Feeling stressed? Overwhelmed by work? There’s nothing like a quiet vacation to clear the head. Viking offers an exceptionally serene environment aboard its ocean vessels. Uncluttered spaces, light-filled rooms and a decidedly un-mega-cruise-ship feel are the hallmarks of a Viking voyage. The well-designed ships keep to a clean Scandinavian aesthetic and maxes out at just 930 passengers. What a breath of fresh air. On a Viking voyage, the itineraries are as important as the onboard experience. Viking is able to take advantage of its smaller-sized ships to bring passengers into ports other cruise ships simply cannot navigate. And being closer to the main destinations — as opposed to out-of-the-way ports — means less hassle and more time to explore. But beyond just the convenience of the smaller ships, Viking really shines with its port-rich innovative itineraries. The hardest part is deciding which itinerary to head out on first. One of Viking’s stated goals is to provide travellers with an immersive cultural experience in every port — and the company really delivers. Not only does each stop include one free excursion, but Viking likes to curated experiences that give travellers a glimpse into local life and culture. Onboard, passengers have further opportunity to explore the cultures they are visiting through optional lectures, art exhibits, shows and food/wine tastings. Nothing can ruin a vacation vibe faster than having to think about money all the time. On Viking, almost everything is included: from all dining options and wine with meals to shore excursions and unlimited wi-fi. Want to eat dinner in your room? No problem — room service is available free of charge any time of day or night. You can even visit the luxury spa pools (treatments are extra of course) and do your laundry without having to reach for your wallet. Now that’s something to celebrate. From the small city of St. John’s Newfoundland, Lois Barbour has grown a formidable travel agency that is competing with the very best in the world. 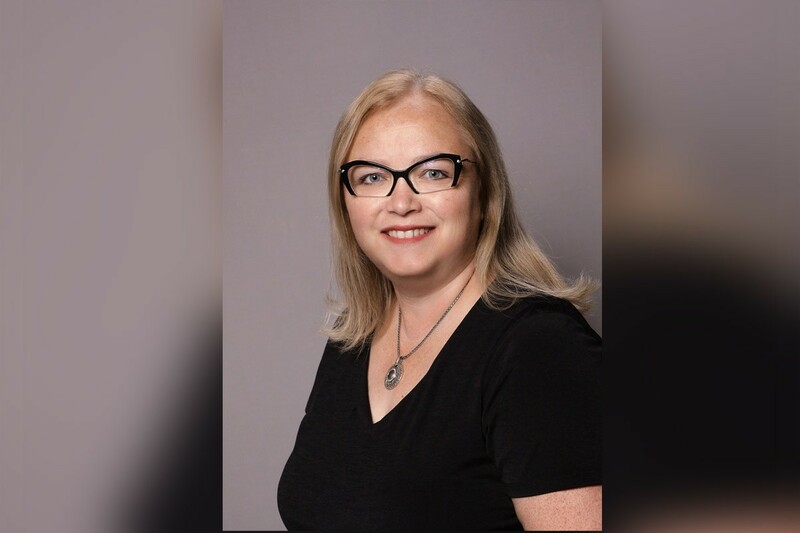 When she first decided to purchase a franchise with Travel Professionals International (TPI) in 2005, Lois Barbour still had one foot in her other career — nursing. She soon realized that her knack for planning perfect family vacations was serving her well in her new venture and she was able to step back from nursing to concentrate on growing her St. John’s-based business full-time. “I retired completely from nursing in 2010 and haven’t looked back,” Barbour said. Today, her agency, Travel Time TPI, has eight outside agents and an office administrator; and Barbour has proven herself to be one of Canada’s best destination wedding planners and a go-to resource for families looking to plan a stress-free vacation. “My passion really is helping people — whether that be couples or families — to create incredible travel memories. I know from my own experience when a vacation is planned well and travel is stress-free, that time away together is really invaluable,” Barbour said. One of Barbour’s favourite travel recommendations is the Sandals and Beaches brand of resorts. For couples, the adult-only Sandals resorts are absolutely perfect, she says, and for families, you really can’t get much better than a Beaches vacations. Just last week, Barbour’s agency was honoured at the annual Sandals Travel Agency Recognition (STAR) Awards with the ‘Best of the Best’ award — which recognizes excellence in sales and marketing. Barbour was also named once again to the exclusive Chairman’s Royal Club, an honour reserved for the world’s top performing agents and one that she has received each year since the program was implemented in 2011. She is the only agent in Newfoundland to ever receive this honour and one of only three in Canada for 2017. “There is a direct benefit to our customers when we receive awards such as these,” Barbour said. “Being part of the inner circle allows us to advocate for our clients with the very top people from the Sandals brand. We are asked for ideas to improve the brand and we’ve seen our input make a real difference.” She points to free WiFi that is now offered at Sandals resorts as one idea that she pushed based on feedback from her clients. Barbour is just one of hundreds of independent travel advisors and agencies under the TPI umbrella — a network that supports and encourage each other while growing businesses in their local communities. TPI is the largest host agency in Canada, providing marketing and technology tools for agents to increase revenue while providing superior customer service. TPI was itself recognized with a ‘Best of the Best’ award, as well as the coveted Top Host Agency in Canada honour at the STAR awards. From the small city of St. John’s Newfoundland, Lois Barbour has grown a formidable travel agency that is competing with the very best in the world. 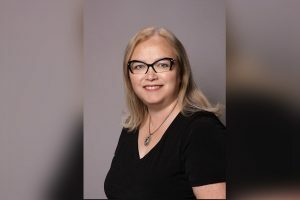 When she first decided to purchase a franchise with Travel Professionals International (TPI) in 2005, Lois Barbour still had one foot in her other career — nursing. She soon realized that her knack for planning perfect family vacations was serving her well in her new venture and she was able to step back from nursing to concentrate on growing her St. John’s-based business full-time. Barbour is just one of hundreds of independent travel advisors and agencies under the TPI umbrella — a network that supports and encourage each other while growing businesses in their local communities. TPI is the largest host agency in Canada, providing marketing and technology tools for agents to increase revenue while providing superior customer service. TPI was itself recognized with a ‘Best of the Best’ award, as well as the coveted Top Host Agency in Canada honour at the STAR awards.